Former RBI Governor Subbarao blamed Chidambaram for undermining the autonomy of RBI and putting pressure on him to cut interest rates. Former Reserve Bank Governor Duvvuri Subbarao has credited his successor Raghuram Rajan's "formidable reputation" for bringing sanity to the forex market when the rupee had lost nearly 25 per cent amid 'taper tantrums' in the summer of 2013. 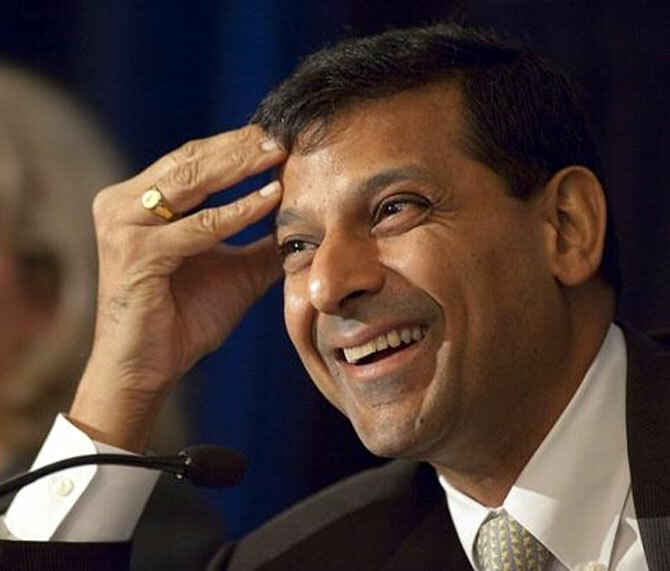 He has also blamed then then Finance Minister P Chidambaram's reluctance to accept that the rupee was bleeding more because of domestic issues and less due to external factors like the taper tantrums - a reference to the US Fed's gradual withdrawal of stimulus measures for the American economy following the global financial crisis of 2008. "I had several conversations with Chidambaram on this, but found him reluctant to face up to this inconvenient truth. He is too intelligent not to have seen the point; I suspect he found it politically convenient to point to an external scapegoat rather than call attention to domestic structural factors," Subbarao, the bureaucrat-turned central banker, has written in a book. He has also blamed Chidambaram who "wholeheartedly supported his appointment" to the Mint Road for undermining the autonomy of RBI and putting pressure on him to cut interest rates. On the impact of the appointment of Raghuram Rajan as the new Governor on stabilising the rupee, Subbarao says "the scheduled leadership change at the Reserve Bank and the formidable reputation of my successor, Raghuram Rajan, helped restore confidence in the Indian markets". The book 'Who Moved My Interest Rates- Leading the Reserve Bank of India through Five Turbulent Years', is a tell-tale 352 page memoir by Subbarao. It hit the stands today and will be formally launched next month. It is published by Penguin Random House. "In fact, as chief economic adviser to the government, Raghu was on board all through the exchange rate turmoil and was more actively involved in all the decisions after he was named in early August as my successor," he notes in the book, which he began penning in the middle of last year. On the radical measures that Rajan announced on assuming charge, Subbarao says soon after Rajan came to RBI as an OSD, they both had agreed on those steps like raising forex through NRI deposits. "Raghu was kind enough to offer that I announce these measures before signing off. But I thought that the measures would be more effective if he announced them as the incoming governor. At least on this issue, my judgement worked!" he says in a chapter titled 'Rupee Tantrums 137'. Blaming the plight of the rupee primarily on structural imbalances like high current account deficit (CAD) driven by non-productive imports like gold, Subbarao says Chidambaram was not ready to accept this. "My concern was that we would go astray in both the diagnosis and remedy if we did not acknowledge that at the heart of our external economy problem were domestic vulnerabilities," he says in his book. Chidambaram's reluctance to put the house in order happened, writes Subbarao, "even as we were engaged in a fierce exchange rate defence, one issue that troubled me all through was the narrative that was taking shape about the origin of the problem." "The government, in particular, was attempting to paint the rupee problem as caused entirely by external factors...But global factors were just the proximate cause for our exchange rate turmoil; the root cause lay in our domestic economy where, for years, we had been heaping pressure on the rupee, an issue that the Reserve Bank consistently raised in its monetary policy statements. "An implosion was inevitable; it was incidental that the trigger came by way of the taper tantrums," he says. On whether the RBI Governor is free or not, Subbarao, who in the book admits that both his bosses in the North Block put pressure on him to cut rates, and is also a fan of the great existential philosopher JP Sartre, says every "Reserve Bank governor is a creature of the circumstances in which he is called upon to perform. He has to make choices and decisions based on his own learning and experiences. The governor is condemned to be free!"